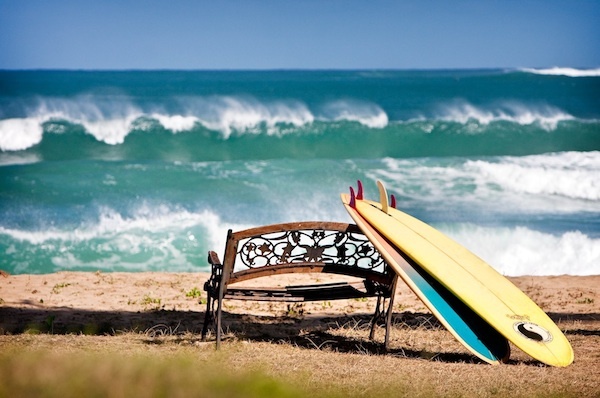 Hale Nalu literally means “house of the surf,” but whether you surf, paddle, boogie board, body surf, distance swim – or just play in the waves – there’s no better place in the world to wake up than Hanalei Bay. It doesn’t get any more “primo” than this. 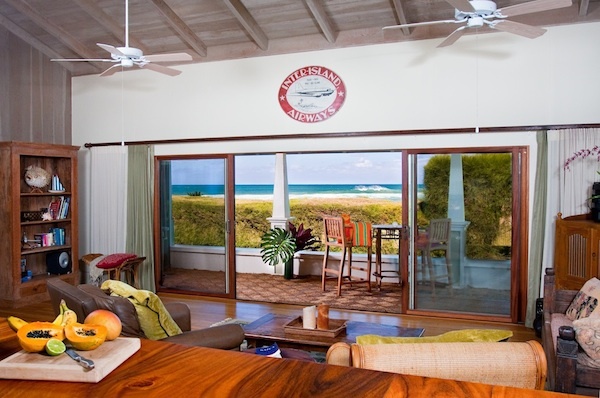 Not only is it the only beachfront home available on Hanalei Bay, but it’s a legal and licensed Kauai vacation rental generating more than a $150K in gross revenue in 2012 and 2013. That’s what I call having your cake and eating it, too. 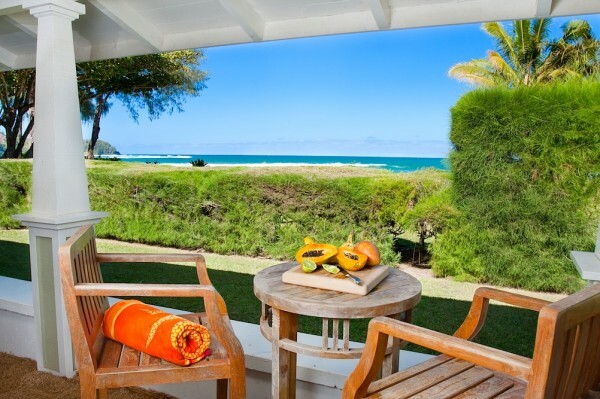 Located on one of the top-rated beaches in the world, this classic Kauai cottage has two bedrooms, 1.5 baths, hardwood floors, jalousie windows, and a comfortable, covered lanai where – trust me – you’ll spend hours contemplating the wonder that is Hanalei. Stretch your eyes and take in the ocean view. Look left and you can watch the sun dip into the sea every evening. And then there are the rainbows, the waterfalls…and have you ever seen Hanalei by moonlight? Just steps from the sand, and a few blocks from Hanalei town, Hale Nalu is offered fee simple at 4.975M.